At the transit camp at Idomeni, on the Greek - Macedonian (FYROM) border. Every year, thousands of people fleeing violence, insecurity, and persecution at home attempt a treacherous journey via North Africa and across the Mediterranean to reach Europe. And every year, countless lives are lost on these journeys. 2015 will be remembered as the year in which Europe catastrophically failed in its responsibility to respond to the urgent need for assistance and protection of over a million men, women and children. Not only did the European Union and European governments collectively fail to address the urgent humanitarian and medical needs of refugees and migrants arriving at external and internal EU borders, but their policies and actions actively contributed to the worsening of the so-called “refugee crisis” and the health and wellbeing of those who fled. Europe’s restrictive policies put some of the world’s most vulnerable people in more danger, causing more suffering, as they risk it all to try to bring themselves, and their families, to safety. European countries (and transit countries) have the responsibility to ensure their policies guarantee the right to seek asylum and respect fundamental rights and human dignity. There are very few safe channels that people can take to reach protection, safety and a better life. With Europe’s land borders sealed, people are forced into the hands of smugglers and into leaky, overcrowded boats on the Mediterranean and Aegean seas. As of 13 March, 143,205 people had arrived in Greece from Turkey by sea; this brings the total number of arrivals to the Greek islands since 1 January 2015 nearly to 1 million. The daily average of nearly 1,400 arrivals in March is nearly ten times the daily average of a year ago. Despite the short distance between the two shores, the Aegean Sea has become the most deadly route for people trying to reach Greece from Turkey. To date, more than 440 people were reported dead in the Mediterranean Sea. It remains European states’ responsibility and imperative to maintain and provide adequate and proactive resources to rescue lives at sea. For this, a creation of a dedicated mechanism to ensure adequate search and rescue capacity in the Mediterranean, with the primary remit to save lives, is essential. In the coming months, number of arrivals will certainly increase again. EU must ensure that an adequate search and rescue capacity is assured when the numbers will rise. Moreover, the focus of European policies on targeting smugglers, who remain a symptom of the lack of safe and legal channels, should not take precedence over the urgency of providing lifesaving assistance and appropriate humanitarian assistance for those who risk their life in search of safety and a better life. The recent involvement of NATO ships in patrolling the Aegean Sea to intercept refugee and migrant boats is another worrying indication of the military focus of the European response, which is not adequate to address the assistance and protection needs of those fleeing for their lives. A cultural mediator working with Medecins Sans Frontiers (MSF) cares for a young woman who has recently arrived on the Greek island of Lesbos after crossing the Aegean sea. Rash decisions to close borders and a lack of coordination between different European states have created incredible stress and dangerous conditions for thousands of people on the move. MSF has documented the domino effect of border closure: each time a border closes, thousands of people are abruptly halted, stranded in no man’s lands, with little to no humanitarian assistance, and ultimately, forced onto more dangerous routes or into the hands of smugglers. Authorizing transit across the Balkans had so far been the only realistic response to the failure of the European asylum system and Greece’s inability to offer assistance and protection. In recent weeks, the decision to suddenly close the so called Balkan road, implemented without any consideration of people’s protection, medical or shelter needs, shows once again the incapacity of European and Western Balkans States to provide coherent and humane solutions to the needs of desperate people in search of protection. Contrary to what governments claim, the construction of fences at the EU’s external borders over the past years has not lead to a decrease in the number of people trying to cross and seek protection in the European Union: it has only pushed people to take more risks by crossing the sea instead of safer land borders and has forced them to resort to a thriving smuggling business. As reception places and access to asylum procedures in Greece, the main country of entry, remain largely insufficient and below standards, the closure along the Balkan route- ring-fencing/entrapping tens of thousands of people in Greece - are of great concern to MSF. There is a deeper humanitarian crisis in the making. Most of the world’s displaced people live elsewhere in their home countries or in the counties surrounding their home countries, relatively few are granted asylum elsewhere. For example, twelve million Syrians have been displaced by the ongoing conflict. Eight million have fled to other parts of Syria. Four million live as refugees in the countries that surround Syria – many of these countries are now overwhelmed (one in four people living in Lebanon are now Syrian refugees). Only a million people have made it to Europe – that is less than 2% of the total number of European population. It is more than time for European countries to adopt more humane and asylum policies. The enforcement of migration cooperation deals between the EU and its member states with third countries is resulting in unacceptable humanitarian consequences, including high levels of violence and a sustained erosion of refugee and asylum law. The EU-Turkey proposed deal, presented as “the” solution to the current crisis, is a perfect illustration of this dangerous approach. Unless concrete protection measures to assure equal treatment and the dignity, safety and protection of people on the move are in place, abuses of migrants and refugees will worsen with increased externalization of border control. The swift provision of safe and legal channels for people seeking asylum, in particular allowing asylum seekers to apply for asylum at external land borders, including the Evros land border between Turkey and Greece. This also includes making wider use of legal entry schemes, such as for example family reunification, humanitarian visas, simplified visa requirements, resettlement and relocation. The creation of legal migration pathways to decrease the demand for irregular migration and smuggling networks. The creation of an ambitious search and rescue mechanism to save lives at sea. This operation should proactively search for boats in distress as close to departure points as possible and should be accompanied by pre-identified disembarkation points where humane disembarkation procedures, including adequate reception conditions, medical care and vulnerability assessments, are in place. Investing in reception according to EU standards instead of deterrence measures only. Europe must move away from a fortress approach to a reception approach designed to address the needs and specific vulnerabilities of people arriving at its borders, in particular their medical and mental health needs. In the absence of a functioning common European asylum system, investing more ambitiously in intra-EU relocation schemes and the creation of safe passage through the EU. Putting an end to acts of violence and abuse from state authorities. MSF has been working with Mediterranean migrants to Europe since the autumn of 2002, when MSF started working in Lampedusa reception centre with a programme that focuses on medical triage of asylum seekers, and has been working with people in many of the countries they flee from for even longer. In May 2015 MSF took the unprecedented decision to launch search and rescue activities in the Central Mediterranean. By the end of 2015, the Bourbon Argos, the Dignity I and the MY Phoenix had RESCUED 20,129 PEOPLE and assisted an additional 3,000 people. With the decrease in arrivals coming from Libya and the increased SAR capacity in the Central Mediterranean, MSF took the decision to put on standby its operations in the Central Mediterranean in December 2015. It remains ready to intervene should the EU and its member states fail to protect the lives of the thousands of men, women and children expected to flee North Africa for Europe in coming months. With the number of arrivals from Turkey to Greek islands continuing to be extremely high, and the worsening of weather conditions, MSF launched rescue activities in the Aegean Sea off the island of Lesvos in collaboration with the international organisation Greenpeace. Between 27 November 2015 and 21 February 2016, the MSF/Greenpeace Rescue operation assisted more than 17,800 people in 355 interventions. Both in the Aegean and in the Central Mediterranean, sea rescue operations are only a temporary measure to mitigate the loss of lives but they cannot represent a solution. In Italy, in the first three months of 2016, the total number of arrivals is more or less equivalent to the numbers of people arrived the previous years (10,164 in 2015, 9,495 in 2016). People arriving in Italy by boat are mainly from Nigeria, which has been the main country of provenience so far, Gambia, Guinea and Senegal. Due to the recent closure of the Macedonian border along the Balkan migration route, one hypothesis for the next months could be the reopening of the Albania-Apulia sea route. This change could also impact on the number of people arriving in the other southern regions, such as Sicily. Rome: MSF launched in October 2015 a project offering medical rehabilitation to asylum seekers who have been victims of torture, in collaboration with an Italian organization (Medici contro la tortura) ), with years of experience on torture victims rehabilitation, and ASGI-Association for Law Studies on Migration, experts of legal support for migrants and asylum seekers. The main countries of origin of beneficiaries are Nigeria, Mali, Afghanistan, Ghana, Gambia and Egypt. In total, 39 people from 15 countries have received assistance in more than 340 individual consultations. A new center in the city center, which has been built in the respect of trauma-related vulnerabilities, will be ready and operational by April, 2016, and it will be able to host 30 people. Since the beginning of the project, around 450 medical screenings and visits have been carried out in partnership with the IRC and the local health service. The vast majority of them travelled an average of 1 to 3 months across the Balkan route, and passed through other European countries, such as Austria, before reaching Italy. Around 9% of the asylum seekers had stigmata of traumas related to war, violence or accidents that happened in the origin country or long the migratory journey and this figure is probably underestimated. A woman from Afghanistan holds her child after disembarking in Petra, on the Greek island of Lesvos. In order to cope with patients’ needs and to provide them with legal information about asylum procedures, MSF has organised trainings with a legal actor and a specialized cultural mediator, in partnership with the national NGO Italian Council for Refugees and the legal support office from Caritas. In Udine, MSF is supporting local actors who provide shelter and medical assistance to migrants and asylum seekers. The main aim of the project is to create and implement a first reception model that would include all the legal actors, who collaborate together on the different aspects of the reception. At present, we are working with local authorities to organize the handover of the center management and of medical activities, which are supposed to continue after our departure. MSF is providing medical care, shelter, watsan services and distributing relief items to refugees and migrants arriving in the Dodecanese Islands as well as on Lesbos, Samos and Agathonisi; in Athens and at the Idomeni border crossing to FYROM. MSF also distributed items (heating material, tents, energizing food, winter clothing, and blankets) to volunteer groups in Greece to support their actions for refugees. In 2015, Greece saw an unprecedented number of arrivals. By the end of the year, 856,723 people in total had arrived in the country and on average 10 people died every day trying to cross the sea into Europe. As of 13 March 2016, 143,205 people had arrived in Greece and more than 400 people died or went missing trying to reach Europe. In the past weeks stricter measures have been implemented by the countries on the Balkan Route, leaving many people trapped in Idomeni and stuck in Greece. The border between Greece and FYROM is de facto close for everyone and no refugee is allowed to cross. With the complete closure of the main Balkan migration route towards Western Europe, approximately 45,570 people remain stranded across Greece, of which 12,000 are still in Idomeni, 10,000 on the islands, 11,000 in Athens area and 12,000 in the rest of mainland Greece. Currently all the reception places for asylum seekers in the country - whether in hotels, apartments, centers, abandoned buildings or camps - have reached full capacity. Since the first of March more than 7,874 people arrived in the Greek island, which means an average of 1,500 arrivals per day. According to UNHCR, women and children represent 59% of the arrivals. Kos/Leros: Faced with no reception infrastructure at all in 2015, works have finally started in Kos and Leros to create reception structures but both centres are not fully operational so far. In Kos, MSF has established some tents - to provide extra shelter when the island is full- in the car park of an archaeological park on the island. We are also distributing blankets, water and running a medical clinic which includes access to a psychologist. In Leros, MSF is providing shelter and hygiene facilities to host the people brought to the island for registration from the neighbouring military island of Farmakonissi, conducting medical activities and distributing NFI’s and water. The MSF team has been conducting vulnerability screenings to identify the most vulnerable groups like pregnant women, minors, but also people without access to basic services, providing medical consultations and mental health support.Since the beginning of January, in Kos and Leros, MSF medical teams have conducted a total 919 medical consultations in Kos and 1,971 in Leros. MSF psychologists have in the meantime conducted 48 mental health counselling sessions and 265 group sessions with 1,370 participants. Lesbos: As of 13 March, 83,475 people have arrived to the island of Lesbos – 92% of whom came from Syria, Iraq or Afghanistan. MSF has been operational on the island since June 2015. In the camp of Moria, MSF is providing medical consultations, mental health support, distributing relief items and conducting water and sanitation activities. In the north of the island, MSF is running rescue activities in partnership with Greenpeace and organising the transportation of new arrivals between the North and the camps in the South where the new arrivals must go to be registered by the Greek authorities. MSF is running on average 10 to 14 buses a day, as well as 2 ambulances for medical referrals of new arrivals, transporting an average of 185 people every day so far in 2016. As of 13 March, MSF transported 12,952 new arrivals. In Mantamados, MSF has established a transit camp for arrivals to the north of the island where we provide shelter, medical activities if needed, a children’s play area and ‘safe space for mothers’ and where people receive food, water and blankets. Our teams - that are providing medical care to refugees and migrants in Moria camp and at the port of Mytilini, have been treating several pathologies related to the winter conditions, such as respiratory tract infections as well as injuries associated with the journey. Since the beginning of January, MSF medical teams have conducted 8372 medical consultations. MSF psychologists have assisted 149 people through individual sessions and have conducted 133 groups sessions with 589 participants. Idomeni: Due to the complete closure of the Balkan route over the last few days, thousands of migrants and refugees are trapped at Idomeni, on Greece's border with FYROM (Former Yugoslav Republic of Macedonia). MSF is running a medical clinic, distributing relief items, providing shelter and water and sanitation. Idomeni camp is only a transit camp and has not been planned to host so many people for such an extended period of time. Rain has brought yet more misery, with more than one-third of around 10,000 migrants stranded in the camp thought to be children and those under five accounting for 20 percent. MSF carried out over 4,000 medical consultations in the last two weeks. The main pathologies we are treatingare respiratory tract infections and gastroenteritis, all linked to the hygienic and shelter conditions and the cold weather. While the main morbidities we are treating in Idomeni camp have not changed in recent weeks, our teams have noted a marked increase in severely vulnerable people seeking medical attention. The number of young infants, expecting mothers in their final stages of pregnancy, people with severe physical or mental disabilities and chronic illnesses have increased, with most requiring medical treatment. It is a huge challenge to cope with the massive increase of people in Idomeni and respond to their needs. A team of MSF logisticians has helped to increase the capacity of the camp. The camp now has 13 heated rub halls, dozens of 45m2 for an estimated shelter capacity to 2,500 - 3,000 people. During the last week, MSF has distributed 24,000 sandwiches and 11,000 hot meals per day, with the important support of other actors. Additionally, MSF distributed 2,000 blankets and 3,700 raincoats on a daily basis. Many refugees and migrants are also staying at the gas station less than 20km from the camp. MSF has established nine 45sqm heated tents at the service station, run a mobile medical clinic at the site, set up temporary toilets and distributed blankets, food and water. Over the past 4 months, our medical teams have treated an increasing number of patients for injuries consistent with violent behaviour and reporting having been beaten by FYROM police. From 1 March to 12 March 2016, MSF medical teams conducted 3,865 medical consultations between Idomeni Transit Camp and the Gas Station. The main morbidities are respiratory tract infections (associated with inadequate shelter - 54%) and gastrointestinal pathologies (associated with inadequate access to hygiene facilities - 12%). Since beginning of January, MSF psychologists have conducted 149 individuals sessions and 174 group sessions with a total of 2016 participants. In addition, we have consistently heard reports from people who were caught crossing illegally into FYROM and claim to have been beaten by the police – indeed, our medical teams have treated a number of injuries consistent with violent behaviour though we cannot confirm the perpetrators of this violence. Samos: Samos is the second most important island after Lesbos where refugees land when they cross over from Turkey. An MSF team is providing first aid to refugees when they land. Then they transfer them by MSF bus to the city of Vathy where the registration process is taking place in the port area. In Vathy MSF is performing medical and mental health activities at the port where only few nationalities are allowed to be sheltered, mainly Syrians and Iraqis. During weekends, MSF is also running a mobile clinic next to the screening center in the north of Vathy town where people wait for several days/weeks for the registration to be completed. Since the capacity of the camp is not adequate MSF has distributed more than 300 tents in the past two weeks. MSF social workers are supporting the referral of vulnerable cases to the hospital and providing translators. MSF started providing support to local fishermen for search patrols around the island. Agathonisi: In the island of Agathonisi, close to Samos, MSF team is welcoming new arrivals, providing medical care and shelter to refugees when they land. Korinthos: In order to provide medical care to the most vulnerable people arriving in Greece, in February, MSF started providing medical care in the Korinthos detention center, where 4,369 people were present. Most of them are coming from Northern Africa and they are stopped in Greece and cannot continue their journey to other European countries. The MSF medical team plans to go to Korinthos twice a week to provide medical consultations in the detention centre. The Juma family comes from a village near Damas. They fled in 2012 and lived in a camp in Lebanon. They tried 3 times to take a boat to Greece, and succeeded the 4th time. A smuggler made them throw away their papers, so they cannot prove they are from Syria. They are waiting for the man's father to send them a copy of their papers from Turkey. They now live in the Eleonas camp for asylum seekers and vulnerable people. The man is 27 ans used to be a street vendor. His wife, 21, is pregnant with their 4th child. The first three are 5 and 4 years old for the boys and 7 months for the little girl. Due to the complete border closure of the Balkan route over the last few days, a growing number of refugees are stranded in Athens. About 9,000 people are now blocked in the Greek capital and its surroundings, while the accommodation capacities are very limited, even if new hosting sites are in the process of being opened in Athens and in other places around the country. At the west airport terminal in Elliniko, which turn into a hospitality camp for migrants, more than 4,000 people are sleeping in appalling conditions. People are gradually transferred from Piraeus Port to other locations, but the situation remains same as there are daily new arrivals from the islands. Around 3000 people are installed in the terminal waiting areas of the port or sleeping in small tents set up outside. MSF is providing medical and mental health activities and supporting food and blankets distribution in the transit centre set up in the port area where the registration office is located. Moreover, MSF has been providing outpatient medical consultations at the Eleonas Hospitality Centre for Refugees, which is hosting 750 asylum seekers. The medical team consisting of one medical doctor, one nurse, one Arabic translator and one Farsi translator is present every day including weekends. Victoria square in the centre of Athens has become an unofficial meeting place for migrants of all nationalities. On February 12, MSF started providing outpatient medical consultations in a facility next to Victoria Square, where an NGO welcomes and provides social activities to women and children. Since late 2014, MSF teams have been present at both entry and exit points in Serbia offering medical services, mental health support and distributing NFIs to people transiting through Serbia, onwards towards Croatia. MSF has also conducted mobile clinics at the Bulgarian border and since January 2016 has re-started activities in Belgrade. While the flow of refugees through the Balkan route was already restricted to small group of Syrians and Iraqis, the new measures have effectively blocked the passage of refugees of all nationalities. The restrictions on the Balkan route have pushed more people to criminal networks and exposed them to additional violence and abuse. Since November, our teams in Serbia have seen an increase in cases of violence by smugglers and police at the border. Moreover, many people have expressed confusion and frustration, as they are unclear about the reasons for the closure to any onward passage along the route. From 1 January until 6 March, MSF teams provided 4,636 consultations in Presevo. From 1 January until 12 March, MSF teams provided 8,473 medical consultations in Sid and 2,328 in Belgrade. MSF psychologists have supported more than 97 people through individual sessions and conducted more than 105 group sessions with more than 601 participants. Belgrade: After the implementation of the first restrictions to the “Balkan route” in November, MSF saw an increase in the number of people staying again in Belgrade parks, sleeping in the street or at train station with low temperatures and lack of support at night (shelter, food, medical, legal, etc.). MSF started activities in Belgrade with a mobile clinic during the night in the park next to the train station and at Krnjaca asylum camp, a collection of barracks-like huts half an hour’s drive from central Belgrade. These are home to families, elderly and refugees who are not able to cross into Croatia or Hungary and are stranded in Serbia. MSF is providing primary health care and distributing NFIs. In addition MSF has been advocating for shelter and protection solutions for this vulnerable population, which often reaches Serbia after having crossed Bulgaria or Macedonia walking for days with no assistance, and at risk of violence from criminal groups, police and smugglers. This is also a population that often has tried to pass to Croatia and has been denied access on the train or has been pushed back by police. Although MSF has not witnessed these events and can’t identify perpetrators, we have treated cases consistent with the stories told by our patients – coming from Croatia, Bulgaria or Macedonia. This registration center in Presevo has been open for one day and is able to house around 500 refugees from Iraq, Afganistan and Syria. Recent regulations barred any other nationality from crossing the border into Serbia, the centre is run by the local Serbia authority. Many people have tried to cross the border into Croatia and have been sent back to Macedonia (FRYOM) and Serbia and are waiting there indefinately, with no information as to what will happen next. Medecins Sans Frontiers (MSF) is providing primary health care close to the centre and mental heath support. MSF have set up seven 45m2 heated accomodation tents. Presevo: In Presevo, where the registration center is located, hundreds of people were walking through the border in a dirt road which was often muddy. Since the new border control measures have effectively blocked the passage of refugees, the Refugee Aid point (RAP) in Miratovac has been temporarily closed. MSF teams is present at entry points in Serbia around Miratovac to ensure medical assistance. Sid: In Sid, MSF is operating 20/7 inside a transit center next to the train station. Since the new border control measures have effectively blocked the passage of refugees, around 280 people stranded since at least 3 weeks. MSF has also set up 8 large heated tents with a capacity to shelter more than 2000 people from the cold. By the end of the month, the activities will be taken over by other organization. Due to stricter conditions of entry for refugees of all nationalities travelling along the Balkan route more refugees are finding themselves returned to FYROM (Former Yugoslav Republic of Macedonia). Currently, in Tabanovce center, in the northern Macedonia near the Serbian border around 1,500 people are hosted, almost 900 Afghani are stranded there since beginning of March. The majority of them were denied entry in Serbia on their way to Western Europe and were sent back. A group of around 400 refugees from Syria and Iraq mostly women and small children arrived last week from Gevgelija, travelling onward from the Greek- FYROM (Former Yugoslav Republic of Macedonia) border and get stranded under heavy rain in a muddy field, in no-man’s-land between the to FYROM (Former Yugoslav Republic of Macedonia) and Serbian frontiers. MSF found the refugees in 3 groups waiting under plastic sheeting. MSF provided with emergency shelters, hot meals and NFI distributions. More than 100 consultations were provided by the MSF mobile medical team deployed from Presevo. In Tabanovce center, MSF teams is also providing psychosocial support and cultural mediation and increasing the shelter capacity of the camp. Grande Synthe: MSF together with Grande Synthe municipality and various partner organisations helped the 1,300 migrants in the camp in Basroch to move to the new site known as the “Linière”. The move came after a long process during which MSF’s teams of cultural mediators worked with the migrants to explain how they would be moved and what life would be like at the new site. The Linière camp, originally intended for 2,500 people (the number of migrants present in January 2016), can provide 375 heated wooden shelters, each accommodating up to 4 people. Whereas all the families and children have moved into the 270 that have already been built, some migrants are being temporarily put up in heated tents while waiting for more to be ready – around 20 are assembled every day. MSF is financing the 2.6 million euros it costs to construct the shelters from its own funds. The camp will not be run by MSF but by UTOPIA 56, an association missioned and funded by the local council. 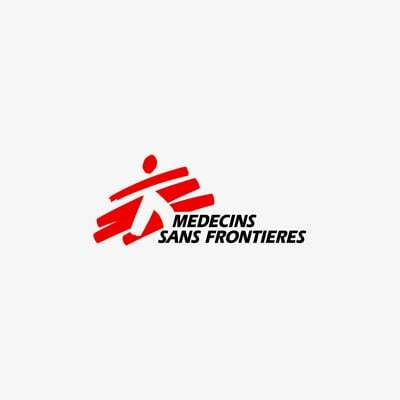 At the medical level, the system set up at the former site in collaboration with MDM, Gynécologues Sans Frontières and the French Red Cross has been maintained and improved. Mobile clinics have been replaced by a medical centre housed in a brick building that is part of the farm located at the entrance to the new site. The centre has several consulting rooms, providing general medicine, nursing care, emergency first aid if necessary, mental health support (an MSF psychologist every day + a psychiatrist twice a week) and gynecology services (Gynécologues Sans Frontières). Another association has been contacted with a view to opening a dental surgery. Refugees in calais' Jungle are being squeezed from the south of the camp and pushed further north. The areas left with nobody are being bulldozed. Calais: Despite the Government’s desire to reduce the numbers of refugees living in the slum at Calais, more than 4,000 refugees continue to live there. In the medium term, the authorities want the refugees to move in to the temporary structures they’ve provided. They assert that individuals wishing to remain in Calais should move in to the ‘Temporary Reception Centre’ (the white container camp) whilst families and children can stay in the Jules Ferry Centre. Others can move to Reception Centres elsewhere in France, where they are then able to claim asylum. The destruction of the southern part of the slum started on 29 February and was almost completed by 16 March. There were cases of violence during the evacuation and MSF constructed a small medical clinic in the southern part of the camp, in order to provide medical care to anyone who was wounded. The French authorities now want to move on to the northern part of the camp which would leave 75% of the refugee population without anywhere to go. The demolitions have already made the living conditions in the northern part of the camp more crowded, resulting in heightened tension and an increased lack of privacy for the people living there. MSF has therefore had to build a new medical clinic in the camp. It constitutes two wooden shelters where refugees can access nursing care, psychological care and receive medical certificates if they’ve been subjected to violence, usually from the local police forces. MSF will continue to testify for the cases of violence committed against the refugees and will expand its mental health activities in the camp, particularly for isolated minors. MSF is monitoring the situation.